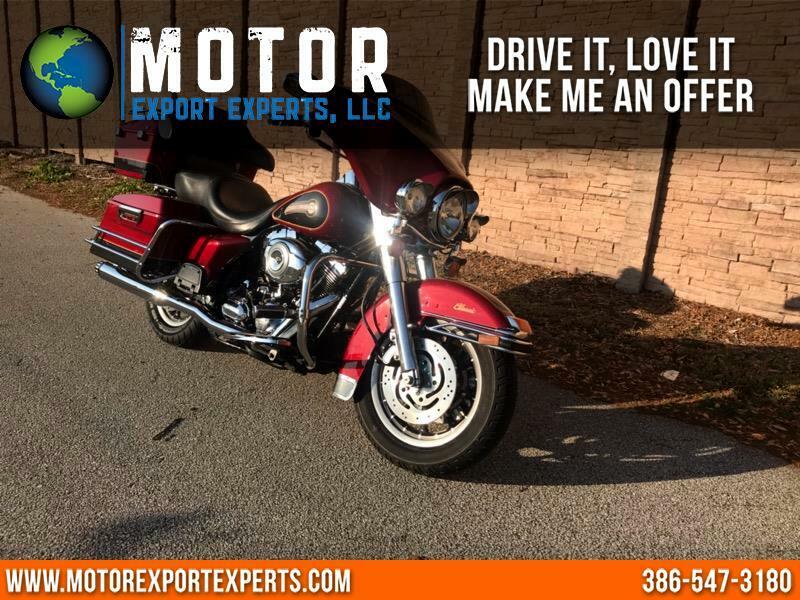 2007 Harley Davidson Electra Glide Classic FLHTC ridden 3,000 miles per season for a total of 37,000 miles. Fire red and black pearl two tone paint scheme. Powerful 96 cc v twin engine, 6 speed transmission. Equipped with the following extras: custom windshield, grips, highway pegs,exhaust system, custom seat.